Join Dr. Daniel Foor in Porto for the first European three-day ancestral healing intensive. Participants will learn to relate safely and directly with recent and more ancient ancestors. This includes helpful guides and teachers as well as the dead who are still in need of assistance (including both perpetrators and victims). The work will closely follow Dr. Foor’s book, Ancestral Medicine: Rituals for Personal and Family Healing. Expect to engage lineage ancestors in heart-centered ritual through prayer/song, visioning practices, and group dialogue. There are no prerequisites, however, prior experience with inner work and relating with spirit guides/teachers are both helpful. Folks new to ancestor work, adoptees, and those with a tough experience of family are warmly welcome. The training will be a trauma-aware, multicultural ritual container that embraces the relationship of ancestral repair and cultural healing. The intensive will be taught in English with two designated translators to personally assist participants more comfortable learning in Portuguese (e.g., some whispered translation, assistance with asking questions). Spaces are limited (10am-5pm each day). Preregistration and full attendance is requested (see below). We are strongly committed to keeping the work accessible to people of diverse backgrounds and variable means while also supporting our teaching staff. Tripeiros (people local to Porto), ‘economic immigrants’ from Eastern Europe and former colonies, and other historically/currently disadvantaged groups (e.g., LGBTQI folks, non-Christians) are encouraged to join if needed on the lower-priced end of registration. If you would like to help us to keep this work accessible or if you have enjoyed financial assistance previously and wish to extend this gift to others, please consider donating to our scholarship fund. For details see: ancestral lineage healing intensives. The cost for this three-day intensive is € 350 (or 4 payments of € 95). Additionally, there are partial scholarship spaces reserved for Porto residents and others in financial need (€ 225 or 4 payments of € 62). These are on a first-come first-served basis. All options include payment plans. Please select the option that best fits your needs. Register for the standard rate of € 350 (or 4 payments of € 95) if you have the resources, are not a local, or you want to keep the work accessible to participants of diverse means and ancestries. There are several spaces reserved for € 225 (or 4 payments of € 62). This choice is for Tripeiros, people of culturally marginalized ancestries and life experiences, and others in financial need. In this approach to ancestral healing we give respect to earlier generations and cultures in the places where we teach. 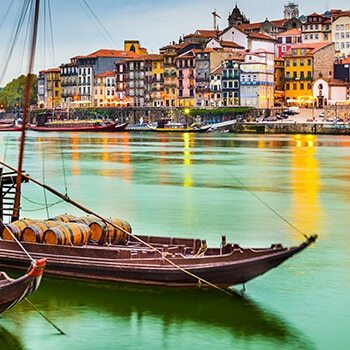 Humans have inhabited the land that is now Portugal for over 35,000 years and the city of Porto for over 2,000 years, making it one of Europe’s oldest cities. Home to diverse pre-Roman peoples (e.g. Lustianians and Gallaeci), Romans, Germanic tribes (Suebi and Visigoths), North African Muslims, and modern Portuguese people, Porto is now an epicenter for the music, architecture, and other living traditions of the Northern Portugal. Find this event for sharing on Facebook here. Junte-se ao Dr. Daniel Foor no Porto para o primeiro curso intensivo de três dias na Europa em “ancestral healing” – cura ancestral. Todos temos antepassados cheios de amor, sábios, e ao pedir o seu apoio podemos aceder a uma tremenda energia para transformação pessoal e familiar. Para além de ajudar a reparar relações com família viva, or nossos antepassados promovem uma auto-estima saudável e ajudam-nos a clarificar o nosso destino, relações, e papel no mundo. Os participantes irão aprender a relacionar-se directamente e com cuidado com antepassados recentes e mais antigos, incluindo guias e professores, assim como mortos que ainda necessitam de ajuda (tanto agressores como vítimas). O intensivo será baseado no livro do Dr. Foor “Ancestral Medicine: Rituals for Personal and Family Healing” (Cura Ancestral: Rituais para Transformação Pessoal e Familial). Durante o curso irá interagir com a sua linhagem de antepassados em ritual de coração através de rezas/canções, práticas de visionamento, e diálogo de grupo. Não há pré-requisitos para participar, no entanto, será útil se tiver experiência com crescimento pessoal e em contacto com guias e educadores espirituais. Pessoas sem experiência no trabalho com antepassados, adeptos, e pessoas com um historial familiar difícil são todos bem-vindos. O treino será um “recipiente ritual,” multicultural e que incorpora a cura ancestral com transformação cultura. O curso intensivo será ensinado em inglês acompanhado por dois tradutores dedicados para apoiar participantes que estejam mais confortáveis em aprender em português (por exemplo, através de traduções sussurradas, ou apoio a fazer perguntas). O número de lugares é limitado. É obrigatório o pré-registo e presença plena (das 10h a 17h cada dia). O custo deste curso intensivo de três dias é de € 350 (ou 4 pagamentos de € 95). Temos também bolsas parciais reservadas a habitantes do Porto e outros em dificuldades económicas (€ 225 ou 4 pagamentos de € 62). Estas serão atribuídas por ordem de chegada. Todas as opções incluem um plano de pagamento. Daniel Foor, Ph.D., guia treino, rituais, e sessões focadas em honrar antepassados, cuidar das nossas relações com o mundo natural, e lembrar o nosso destino e vocação unico. É o autor de “Ancestral Medicine: Rituals for Personal and Family Healing”(“Cura Ancestral: Rituais para Transformação Pessoal e Familial) e tem experiência em guiar estes rituais nos Estados Unidos desde 2005. Na nossa abordagem à cura ancestral respeitamos as gerações e culturas antigas dos locais onde ensinamos. Os seres humanos habitam a terra que agora é Portugal há mais de 35,000 anos e a cidade do Porto há mais de 2,000, o que torna a cidade uma das mais antigas da Europa. Patria de diversos povos pré-Romanos (e.g., Lusitanos e Galaicos), Romanos, tribos germânicas (Suevos e Visigodos), Mouros, e Portugueses, o Porto é um epicentro de música, arquitectura, e outras tradições vivas do Norte de Portugal.